Eucalyptus is a seven-piece group that “manages to combine the accessible and avant-garde in an appealing way,” writes Kerry Doole in Exclaim! 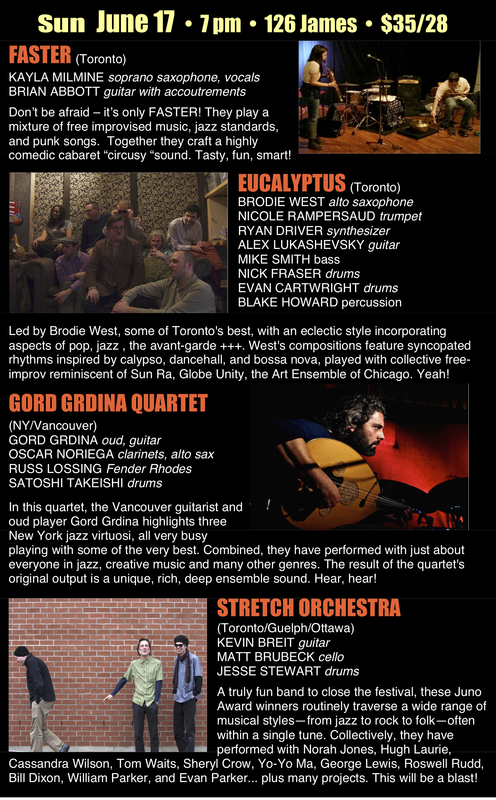 Led by Toronto-based composer/saxophonist Brodie West, the band features an all-star lineup of musicians from Toronto’s improvising music community. Their eclectic style incorporates aspects of pop, jazz and the avant-garde. West’s compositions feature syncopated rhythms inspired by calypso, dancehall, and bossa nova, played with collective free improvisation reminiscent of Sun Ra, Globe Unity Orchestra, or the Art Ensemble of Chicago. Since forming in 2009, Eucalyptus has performed at many of Toronto’s most celebrated venues, including the Wavelength 12th Anniversary Festival, Open Roof Festival, Feast in the East, Long Winter, Toronto International Film Festival, Images Festival, The Music Gallery, Somewhere There Festival and Hirut Restaurant. They have also performed at Sappyfest 8 in Sackville NB. Their 10” vinyl EP/CD Eeeeuuuucaaaaaaallyyypppppttus is on Toronto’s Blocks Recording Club label. In 2012, the Stretch Orchestra won the coveted Canadian music award, the Juno, for “Instrumental Album of the Year.” This, however, is only part of the acclaim that the trio has garnered. In performance, they routinely traverse a wide gamut of musical styles—from jazz to rock to folk—often within a single tune. Guitarist Kevin Breit has performed with artists such as Norah Jones, Hugh Laurie, and Cassandra Wilson, as well as releasing a mountain of recordings under his own name. Matt Brubeck is an improvising cellist, raised on jazz and classically trained at Yale, who has taken his cello skills into sessions with Tom Waits, Sheryl Crow, and Yo-Yo Ma, as well as Canadian sessions with Marilyn Lerner, Nick Fraser, and David Braid. Jesse Stewart, this year’s Something Else! 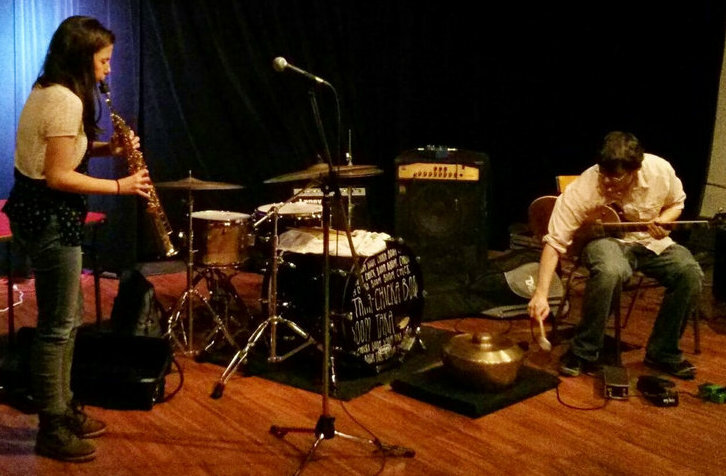 Improviser in Residence, has performed and/or recorded with a wide array of musicians including George Lewis, Roswell Rudd, Bill Dixon, William Parker, and Evan Parker.